They say if you can find three of something in one season it qualifies as a trend. Well, I am calling it. 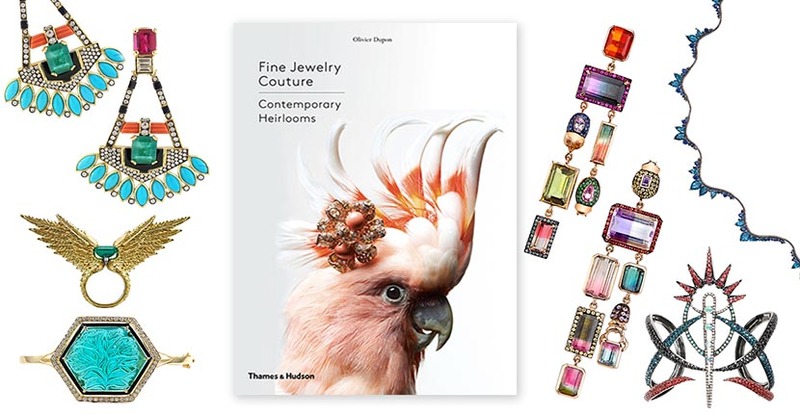 Books about contemporary jewelry designers are hot. First there was Stellene Volandes’ incredible Jeweler: Masters, Mavericks and Visionaries of Modern Design. Then came the exceptional Taffin: The Jewelry of James de Givenchy. Now Oliver Dupon, a luxury expert who scouts the international markets in search of dynamic new designers in many fields, has delivered the beautiful Fine Jeweler Couture: Contemporary Heirlooms. There are 37 designers in the publication. The long list incorporates many of my favorites including Daniela Villega, Fernando Jorge, Hanut Singh, Silvia Furmanovich and more. I reached the author in London and he answered all my questions about his latest publication. All the books you have written including, The New Artisans, The New Pâtissiers and Floral Contemporary among others, celebrate the work of today. What is it about current design that inspires you to write about it in books? When craftsmanship meets artistry is what has always fascinated me. In all my books, I have tried to expose how contemporary independent practitioners achieve this marriage. The world of Craft with a capital C, the background and people behind each object or project are contagious stories to tell. Be it a floral arrangement for a catwalk show, a futuristic edible composition on a plate or a ravishing neckpiece, the intent of their respective makers is the same. In 2012, you wrote a very well received book about contemporary jewelry designers The New Jewelers: Desirable, Collectable, Contemporary. What made you decide to revisit the topic of jewelry again with Fine Jewelry Couture Contemporary Heirlooms? The New Jewelers covered a wide area of the jewelry market by presenting costume, conceptual and fine jeweler. The exceptional pool of talent and their incredible imagination increasingly fascinated me. Fine jewelry is a highly competitive field and there are a lot of practitioners out there. So it takes great courage to enter the field or to keep on forging ahead. The ones who have no intention to rest on their laurels and continue to experiment really stand out and have inspired me to write Fine Jewelry Couture. In the past the great jewelry designers seemed to be centralized in New York, Paris and Rome. Today there are great jewelry designers all over the planet. How many different nationalities are represented in your publication? Why do you believe they can be found in so many different countries today? It is true that one of my intentions was to showcase this fact, that talent in the jewelry market is worldwide and more accessible than ever, once again thanks to social media. Fine Jewelry Couture features 37 designers across 13 countries. As the economic power has been shifting from the old world to the new one, an emergent middle class has appeared in countries previously deprived of it. The aspirations of that middle class and their exposure to the luxury lifestyle of modern societies have provided an incentive for local talents to explore their own creativity and offer a fresh perspective. There are an astonishing 556 illustrations in the book. For many designers you chose to show images of the jewelry designs as well as pictures of the jewels. 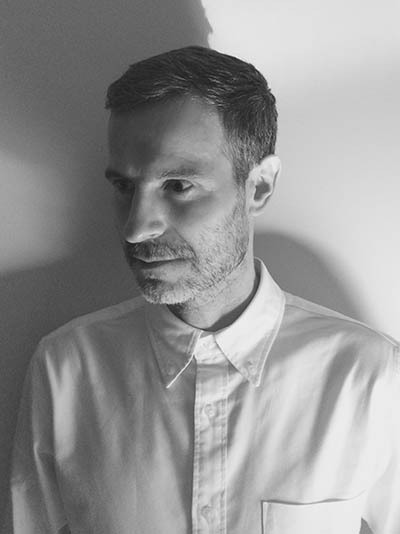 What do you think the renderings reveal about a designer’s work? The transfer onto paper of an imaginative scheme is more often than not as beautiful as the final precious rendition, and it reveals as much about the personal sensibility of the designer as the moment an idea has captured their mind. In many designers’ showrooms, jewelry drawings rightfully adorn the walls as the works of art. There is something almost mystical in the way jewelry sketches attract and then hypnotize. What are the qualities that unite the 37 designers in the book? The jewelry equivalent to Haute Couture is Haute Joaillerie. The book concept was to subtly extend this reference and showcase the idea that couture could also apply to a section of fine jewelry, which has become more high end in terms of exquisite craftsmanship and narrative. As a result, it is the uniting idea for the selection of the 37 designers. I have short-listed participants whose quality of craftsmanship is superlative and aesthetics a question of elaborate compositions, intricate structures, out-of-the-box thinking and above all a sense of exploring new and exciting territory. With this book I aim to gather fine jewelry creations that abide by that philosophy.